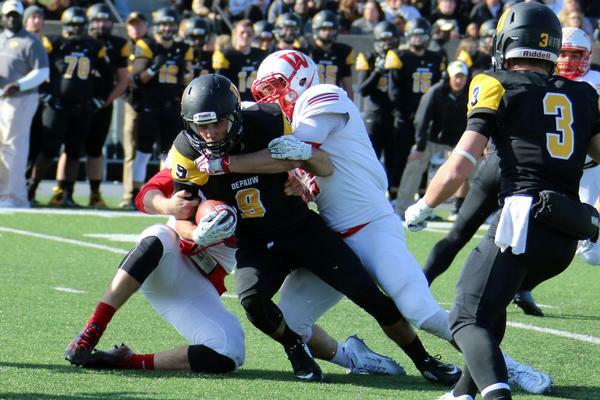 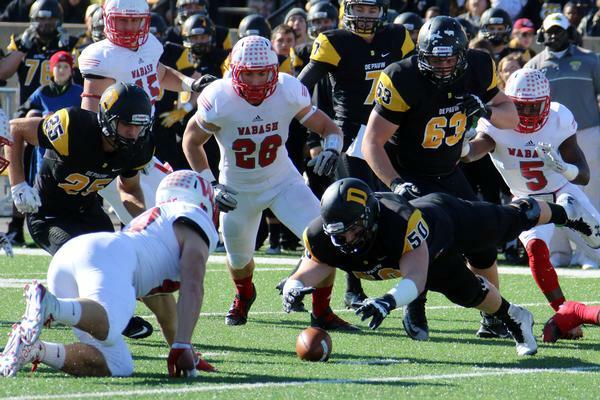 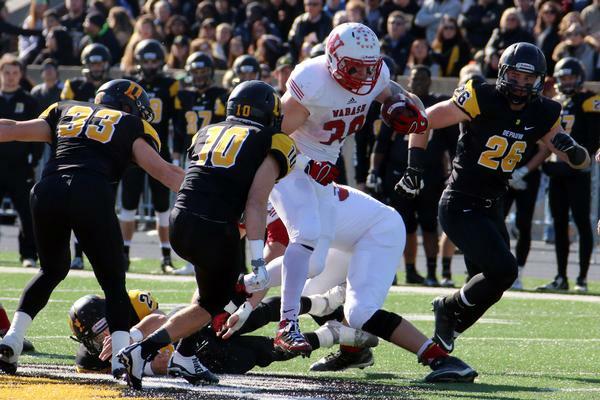 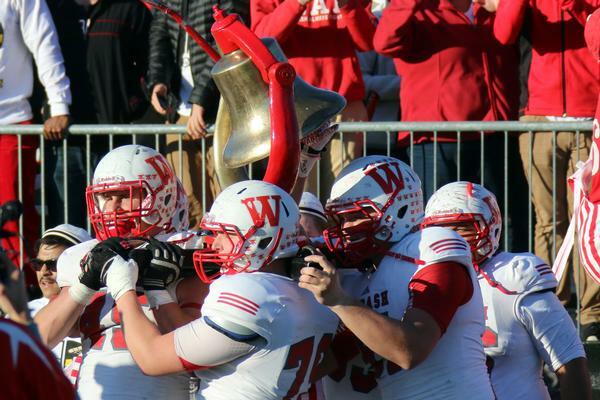 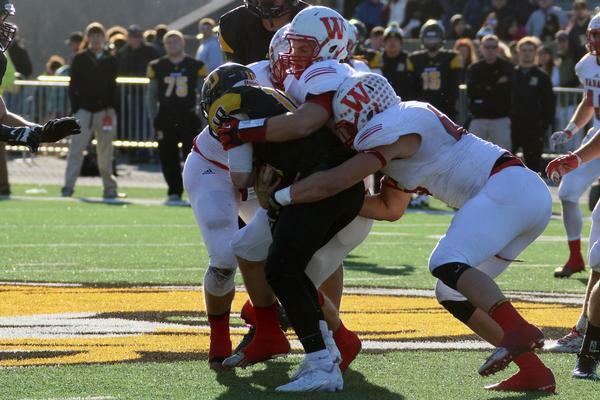 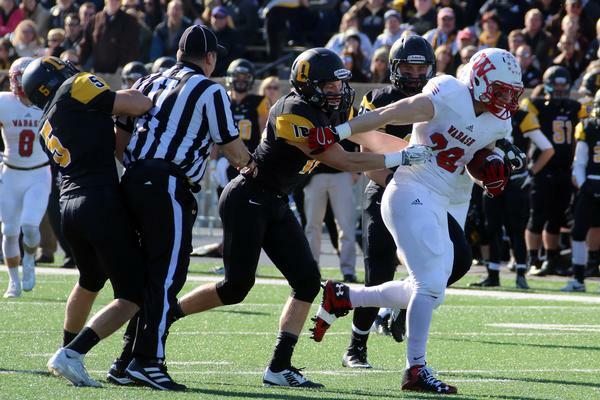 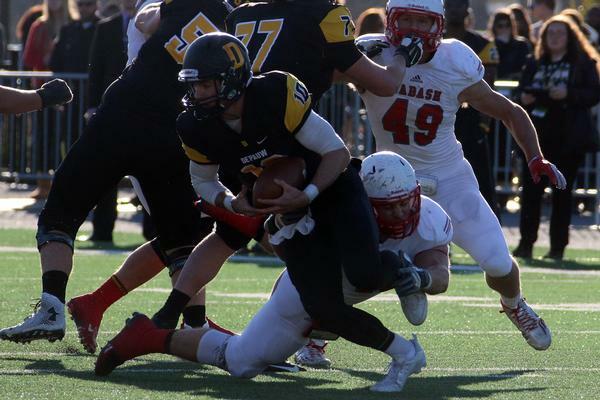 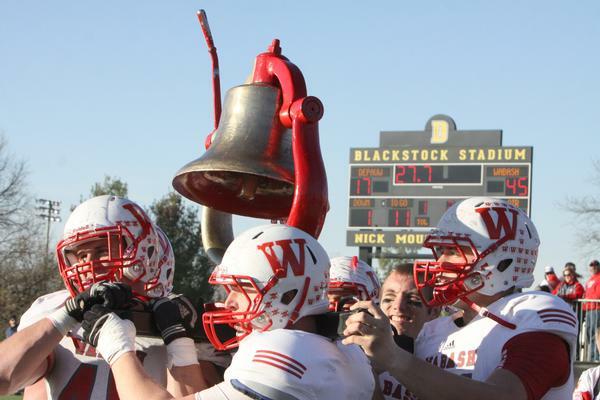 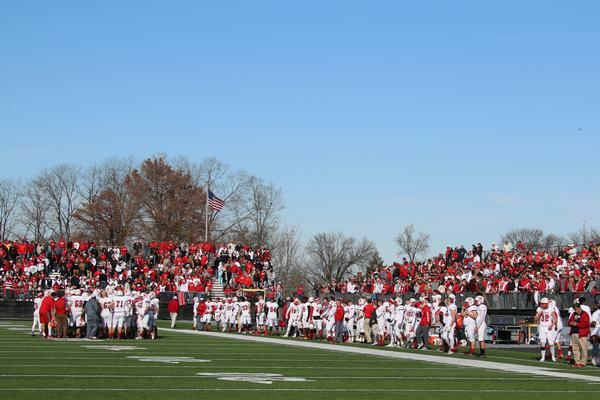 It took all of three passes for the Wabash defense to swing the momentum permanently to one side in Saturday’s 122nd Monon Bell Classic. 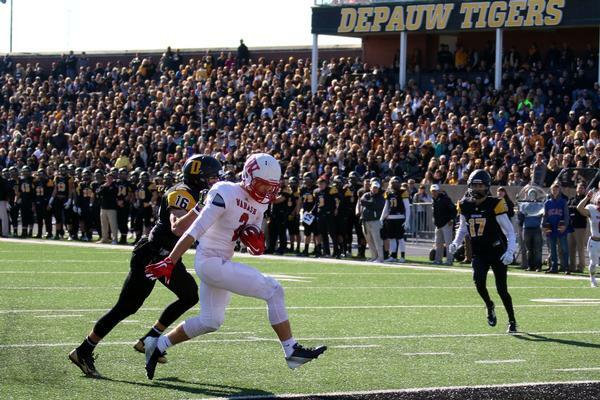 Junior defensive back Delon Pettiford benefitted from a stiff wind, undercut a post route, and intercepted DePauw quarterback Matt Hunt on his third throw of the game. 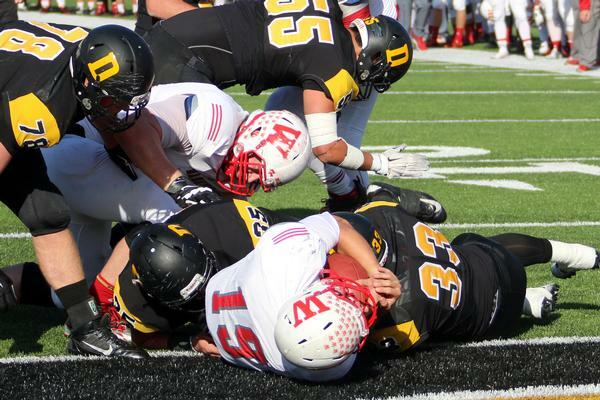 The Little Giant offense converted that turnover into a touchdown two plays later. 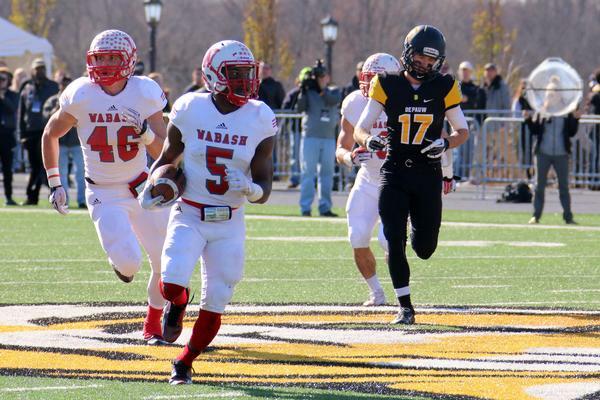 Another score on its next possession and Wabash led 14-0 less than six minutes into the contest. 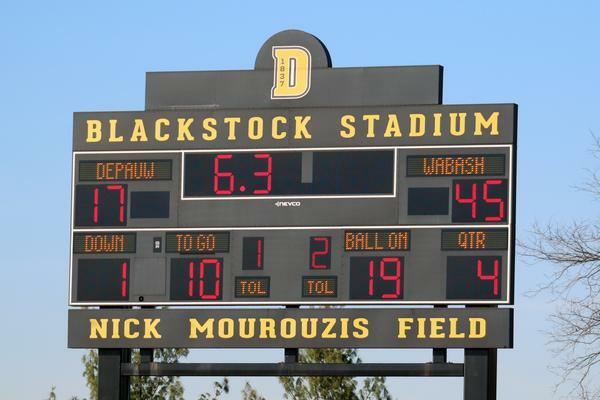 Late in the second quarter, Pettiford thwarted another Tiger drive with his second pick of the day. 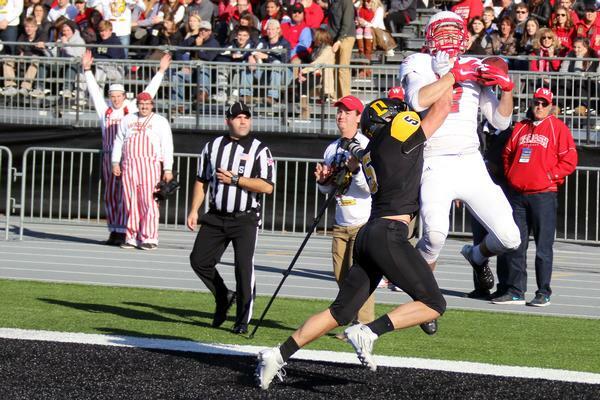 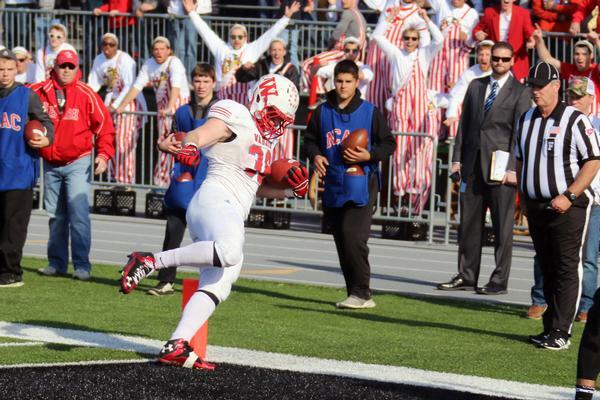 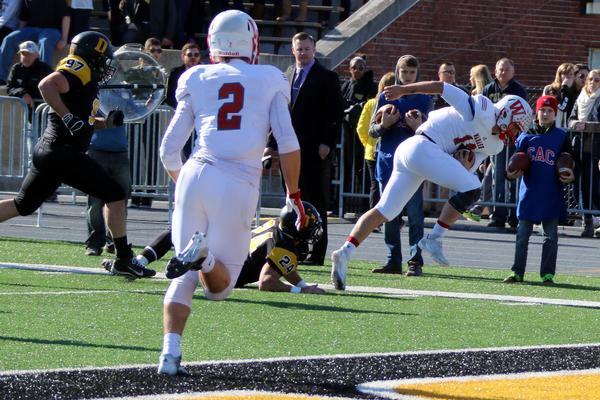 He stepped in front of a back-shoulder throw in the end zone, made the play, and returned the interception 34 yards. 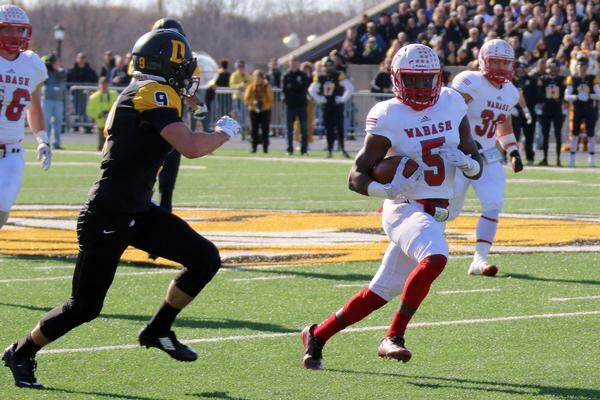 Pettiford’s two interceptions in the first 30 minutes -- from a quarterback who had three interceptions in 237 pass attempts this season entering the game -- proved to be difference makers. 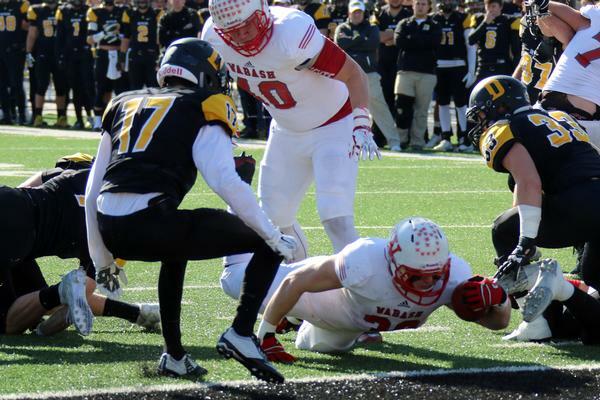 Wabash also recovered a fumble in the first half and converted the trio of turnovers into 17 points in running out to a 31-10 halftime lead. 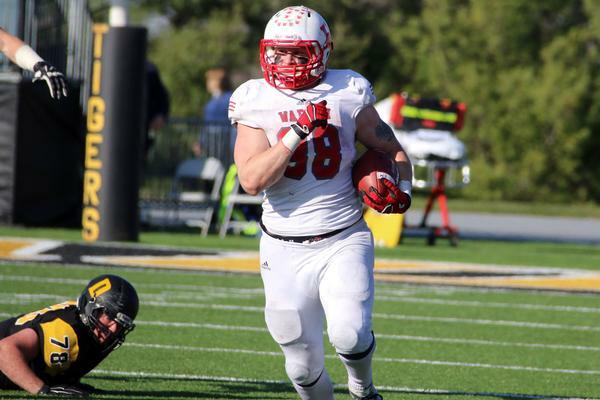 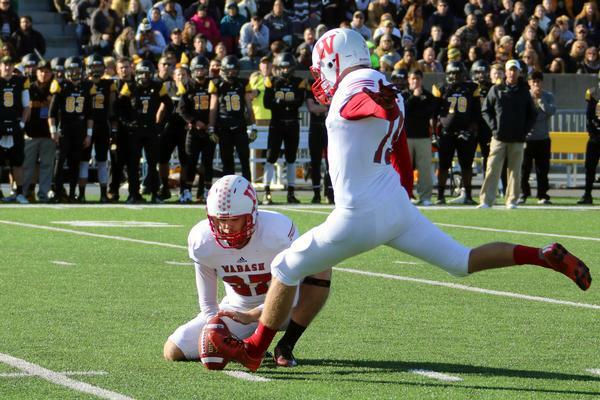 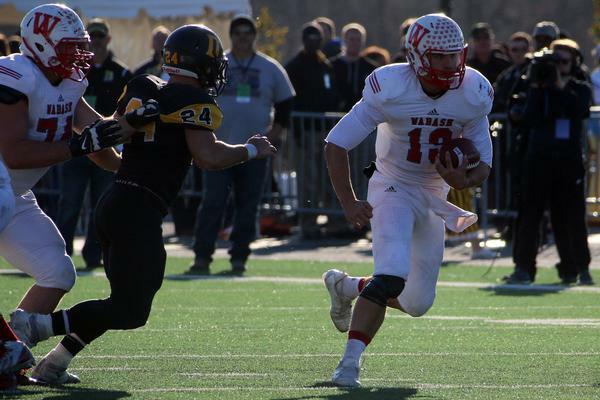 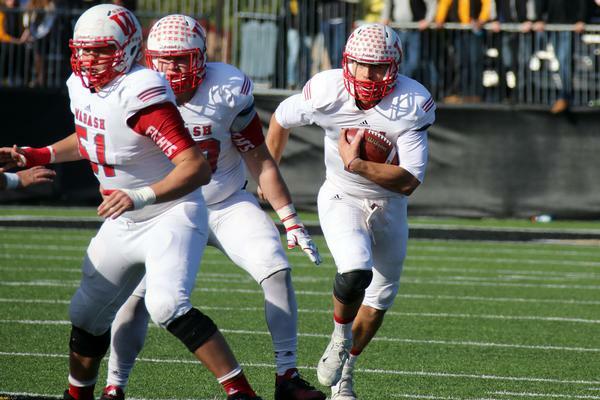 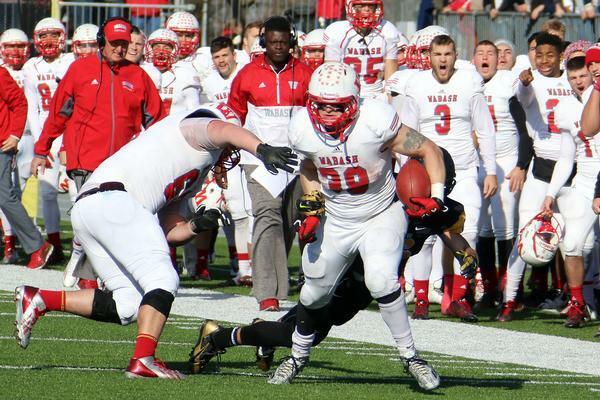 Wabash quarterback Connor Rice '17 has seen such things often from the 5-foot-9 Indianapolis native, who finished with eight tackles on the day. 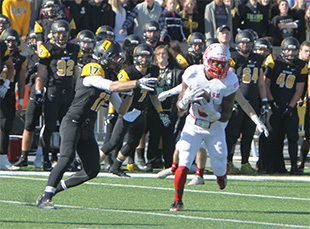 Pettiford, who shares the team lead with four interceptions, simply makes plays. 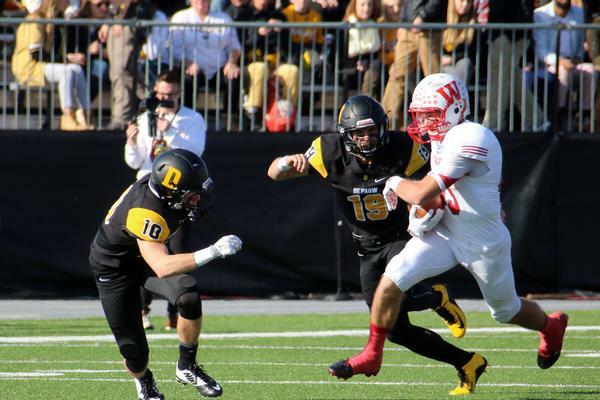 Pettiford credited the defensive preparation. 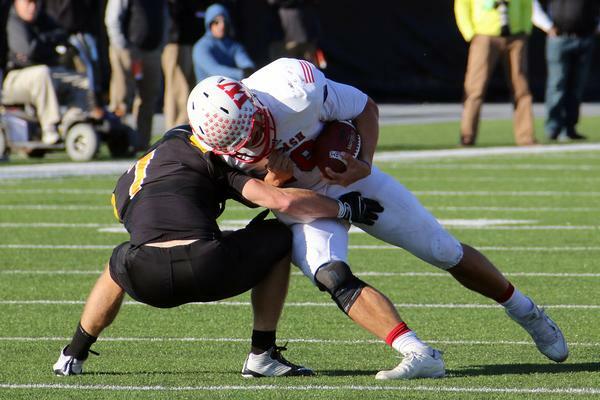 The effort capped a day that saw the Little Giants win the Monon Bell for the seventh consecutive season, earn its first outright NCAC championship since 2011, and clinch a berth in the 2015 NCAA Division III Playoffs.